One of the finest batsmen in the world, Sachin Tendulkar, has announced his retirement from the One Day Internationals just before the home series vs. Pakistan. It was a coincidence, that the little master started his journey in the 50 overs game against Pakistan on December 18, 1989, at Municipal Stadium, Gujranwala. He played his last game against the Green Shirts as well on March 18, 2012, at Shere Bangla National Stadium, Mirpur, in the fifth match of the Asia Cup 2011. 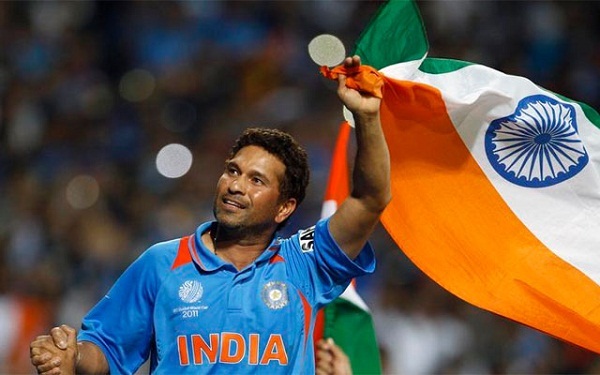 Sachin Ramesh Tendulkar was born to rule the cricket world on April 24, 1973, in Bombay, Maharashtra, a right hand top order batsman and a right arm off and leg break bowler. He has played magnificently for India, Mumbai Indians, Asia XI, Yorkshire and Mumbai. Words are not enough to cover the thrilling batting performance of Tendulkar who has sparkled with his willow against all types of bowling wherever cricket is being played across the globe. The master blaster made his international debut at the tender age of 16 against Pakistan and from that point on he never looked back. 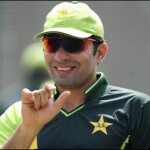 The beginning in the ODI was not encouraging for him since he was unable to open his account in his first two matches. The national selectors had full confidence in the batting abilities of the young gun and kept on offering him a permanent place in the team. He scored his first fifty in the 50 overs game on December 5, 1990, vs. Sri Lanka, at Pune, and that was his ninth encounter. His first three figures score was achieved in the 79th game which was played on September 9, 1994, against Australia in the third match of the Singer World Series, at R Premadasa Stadium, Colombo. Sachin Tendulkar had to wait quite a while before he hammers his 100th international century which was attained vs. Bangladesh. That was the fourth match of the Asia Cup 2011, which was played on March 16, 2012, at Shere Bangla National Stadium, Mirpur, where he smashed 114 runs off 147 balls with 1 six and 12 fours. He had the honour of becoming the first batsman to score a double century in the shorter version of the game by plundering 200 runs against South Africa on February 24, 2010, at Gwalior. The 39-year-old has played 463 ODIs, blasted 18426 runs at a superb average of 44.83, the best of unbeaten 200 runs with 49 hundreds and 96 fifties. He holds the record of most appearances along with the highest run getter title and has thrashed the most centuries in this format of the game. 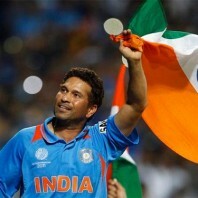 The huge contribution made by Sachin Tendulkar in the One Day Internationals will be remembered forever by the cricket lovers all around the world, especially by his Indian fans.